How To Get Out of Debt Quickly And Avoid Legal Actions Being Taken By Your Creditors. We’ve all felt that feeling of dread when the last week before pay day looms into view and we are forced to start counting the pennies. We all know that stretching out the last few quid until your next payday is a miserable experience and we all have unexpected surprises that end up blowing even the best planned budget. Now is the time to end your debt problems and start living. If you are stressed, worried and unable to sleep and if you are frightened to answer your phone or open your mail because you are worried of being unable to make your monthly repayments to your creditors, then it may be time to look for professional help and advice. The first step is always the hardest, but admitting to yourself that you have a problem and by taking action sooner rather than later, the easier and quicker it will be for you to get your finances back under control. 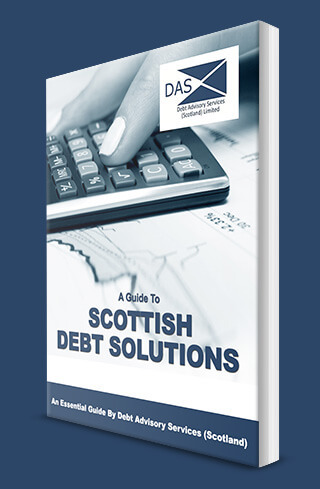 Providing your email address will allow us to keep you up to date on changes to Scottish debt solutions. Providing us with your telephone number will allow us to confirm that you have been able to download our free guide and answer any questions that you may have.